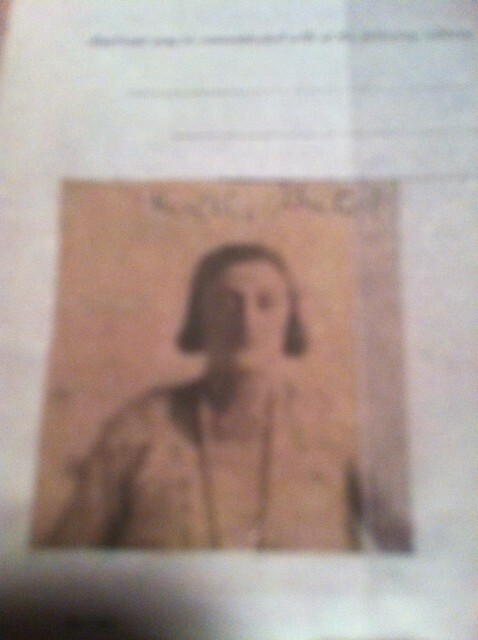 This small photo of Hertha is an enlargement from the photo below. 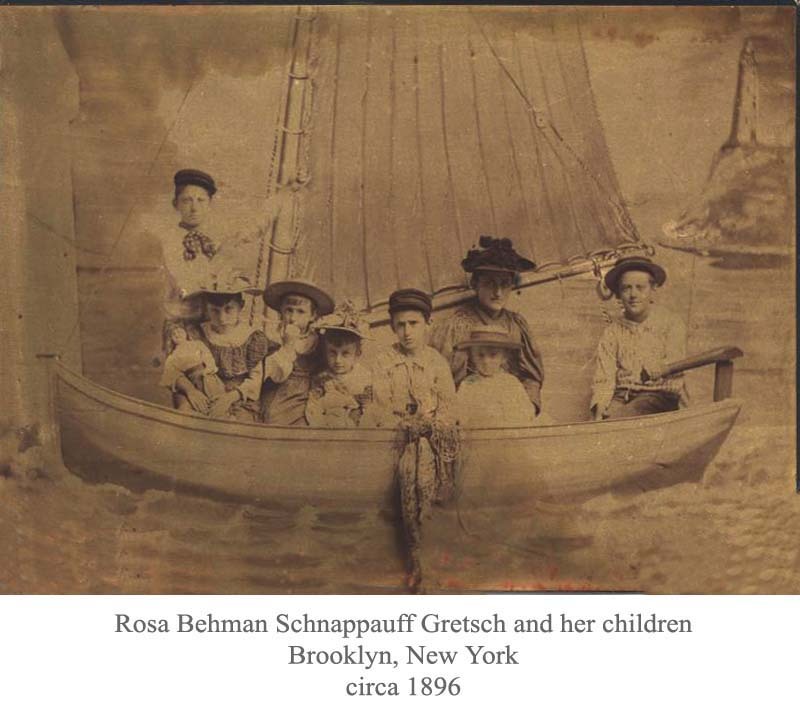 In this circa 1896 photo, Hertha is the fourt child from the left. 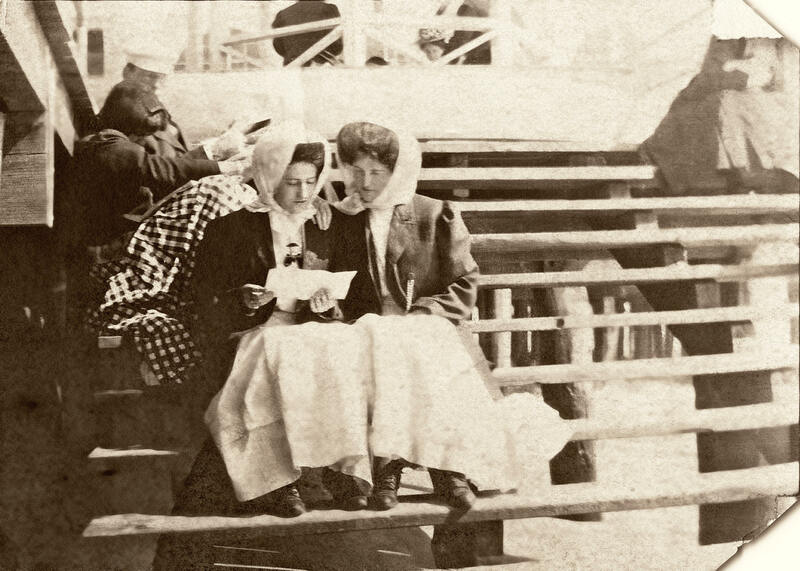 She is sitting between her sister, Helen, and her brother, Louie. Like her older sister Elsa, she is holding a doll. 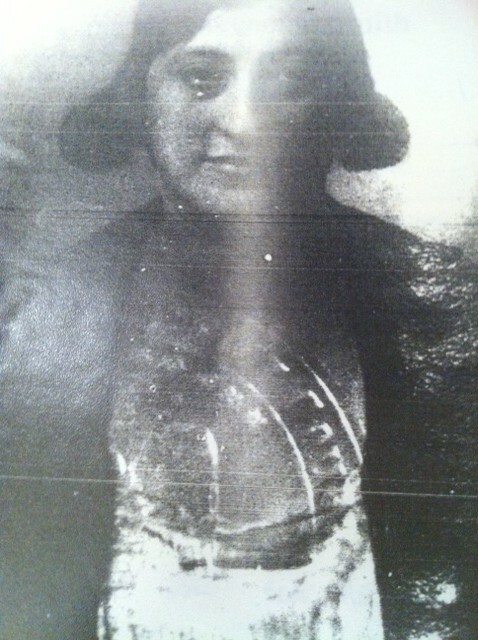 This photo circa 1907 is part of a large photo pictured below. 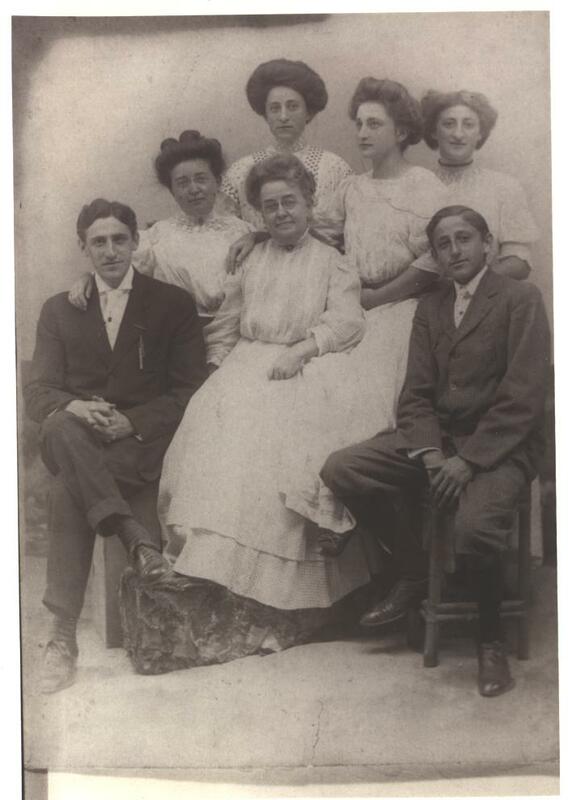 This photo from circa 1907 shows Hertha in a scarf with her father’s cousins, Emily and Wilelmina in back. 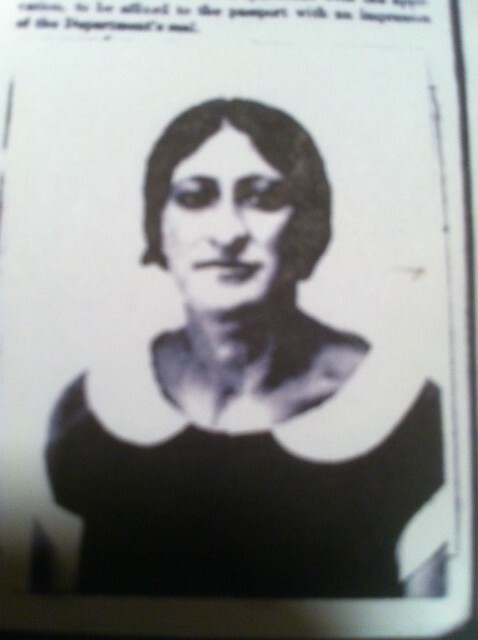 Her sister Helen is also pictured. 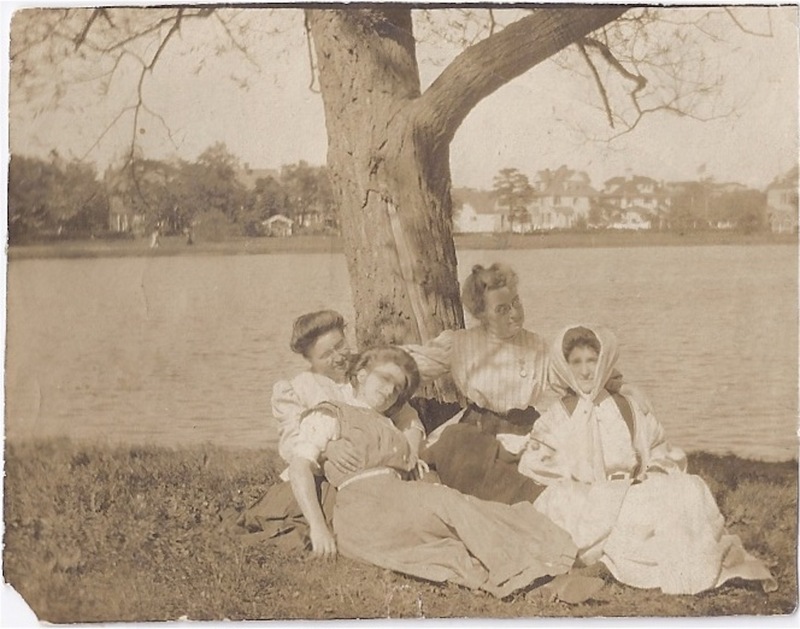 This photo circa 1909 shows Herta on the right with her sister, Elsa.